It’s been a very interesting week in the virtualisation arena and a number of really great resources and news has come out. First is the news that VMworld registrations are now open. Since following every bit of last years VMworld via twitter to peoples streaming videos to peoples blogs I’ve been excited that this year I’ve been given approval to attend the conference and hopefully i too can give back some top blog postings like so many of the people i read last year did. Richard Garsthagen (@the_anykey) has posted a great blog posting all about what you can expect to see and be able to do at this years VMworld. I’m personally really excited to play with quite a few of the labs and increase my knowledge on some of the technologies and features i haven’t had a chance to test drive/learn about yet. That and nerdy as it is to hopefully meet and “Chinwag” as Mike Laverick would say(I would highly recommend listening to Mikes chinwags as they are remarkably interesting and helpful to hear what other top virtualisation people are doing and what their views are on things happening in the virtualisation arena). Richard also posted some ways of winning your way to VMworld as the cost for it is obviously very costly especially if you work for a small company or are self employed. 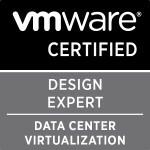 Next is the news of the names of the new VMware exams. I posted all about it a few days back and how I feel this is a very helpful idea and necessary step by VMware to help people grow their knowledge and bridge the gap between the VCP and the VCDX. Have a look at the links I’ve mentioned in the posting..
Steve Jin posted a very interesting article about how to use HTTP with the vSphere Client. As he says in the posting the video by Carter Shanklin (@cshanklin) is where the “trick” is shown and is a brilliant video for anyone wishing to learn more about Onyx. This trick is really great and very helpful. Luc Dekens (@LucD22) also posted a very interesting article all about using fiddler as a onyx alternative. I’ve used fiddler a few times before to try work out why certain things weren’t running or what ports an application/server was trying to reach and it’s a very helpful tool, i haven’t had the time to try out Luc’s idea but if it works like he says it does this will be a very good trick and tool in every virtual administrators tool belt. Duncan Epping (@DuncanYB) posted all about the vSphere Resource Kit a book that will have all the things the Microsoft Resource kits had but obviously covering everything vSphere. If the chapter names of the book are anything to go by this book is going to be the bible for vSphere. Check out the webpage of the book here. Rich Brambley (@rbrambley) has done a great posting all about his use case for using VMware Data Recovery and all the positives and negatives of using it. We personally use it here for some small backups and the software is brilliant and very simple to use and understand and is a great tool for small businesses looking for a backup solution for the virtual environment. The hardening guide for vSphere 4.0 has finally come out. For those of you that haven’t used or seen these before they are brilliant guides by VMware for securing your virtual environments by following more than 100 guidelines from ones for your virtual machines to your hosts to the console OS. Next week Thursday is the London VMUG and I’ve just received my confirmation that I have got myself a seat so really looking forward to meeting up with a load of fellow south UK virtualisation geeks and then getting to vbeers afterwards. If you haven’t requested your spot then get a mail sent as the more the merrier. Also Doug Hazelman from Veeam (@VMDoug) is coming to the user group so should be very exciting. A big welcome to Simon Seagrave (@Kiwi_Si) on joining EMC. That’s two of the top virtualisation guys i look up to that have joined EMC now with Alan Renouf also having joined EMC. Hopefully I can work my way into being able to be around these guys and tap into their amazing knowledge. Duncan Epping posted all about the availability of the VCDX application form. As I’ve said in previous postings I’m hoping that one day i have the expertise and knowledge to gain this accreditation. The application form is also a great view into the kinds of things that will be necessary for you to do the defence and so is helpful to anyone planning to do it and wanting to gain the knowledge necessary. Categories: Virtualisation | Tags: EMC, london VMUG, ONYX, VCDX, VDR, VMUG, VMware, vSphere | Permalink.